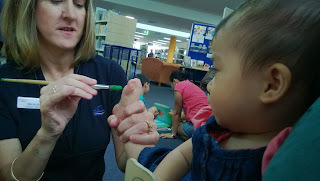 Wednesday is my favourite day because we are going for Rhyme Time at the library. 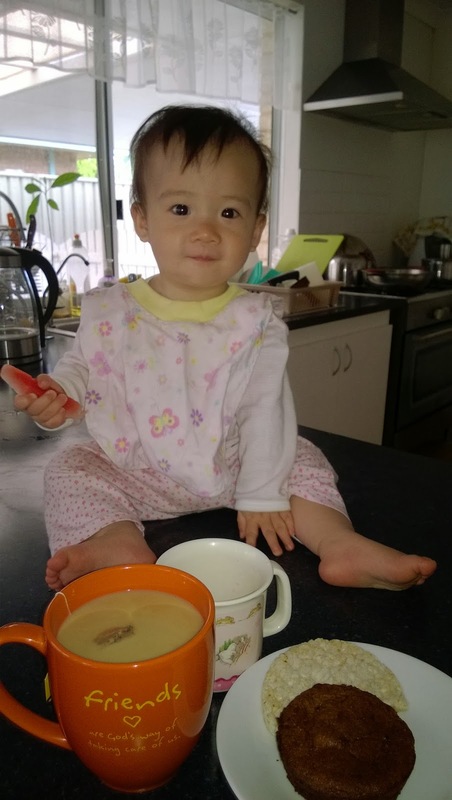 We woke up early in the morning, I had watermelon and crackers, while mummy had her milk tea and banana muffin. Yummy! We reached Mandurah Library slightly early as mummy could find empty car space easily. At the children area (my best-loved spot), I met with a handsome baby D and it's his first time at Rhyme Time. 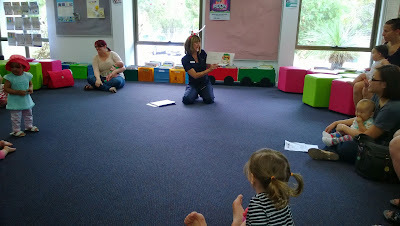 At 10am sharp the lovely library officer Michelle came and greet us. I noticed she was different today - she wore a funny Christmas headbands! 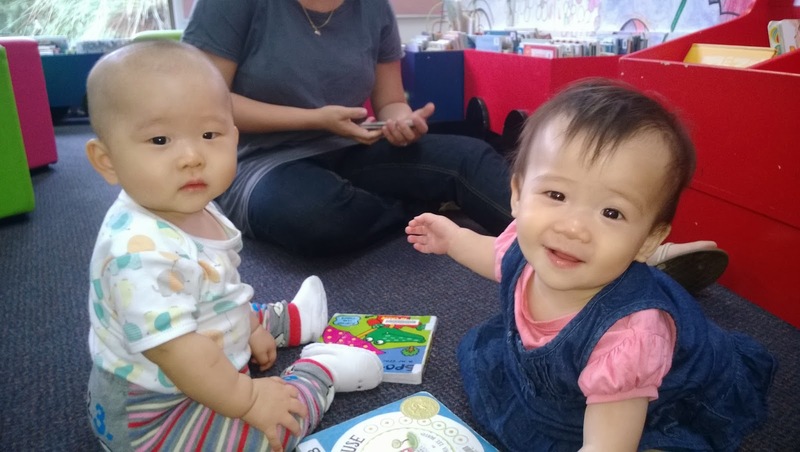 Mummy and I sang some familiar rhymes together with other baby friends&mummies, and then we learned some new Christmas Rhymes. Let me share some Christmas rhymes with you, they are simple and easy. Follow me! 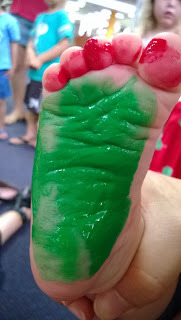 Next, we had a chance to do footprint in conjunction with Christmas celebration, hooray! It was ticklish when the paint was brushed on to my feet. 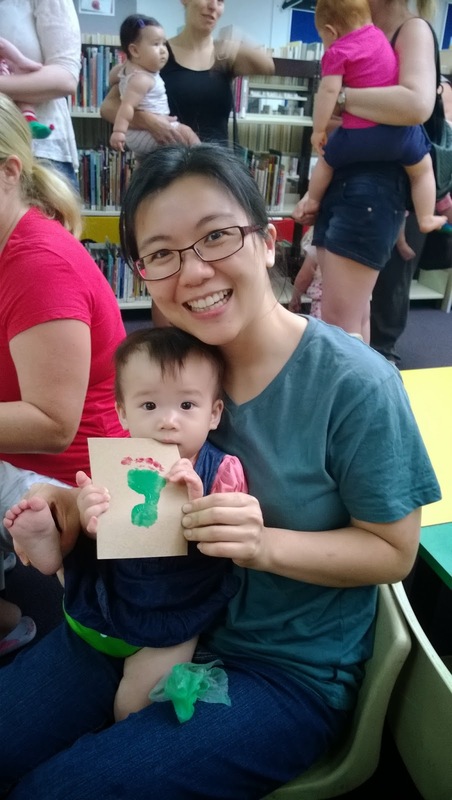 Then mummy printed my right footprint on a card. A 'Mistle-toes' card was created, it was awesome! 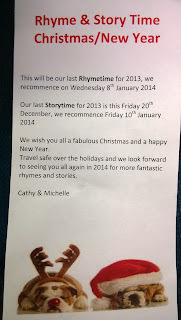 I think this would be the last Rhyme Time session in the library this year as the library officers handed mummy a note. 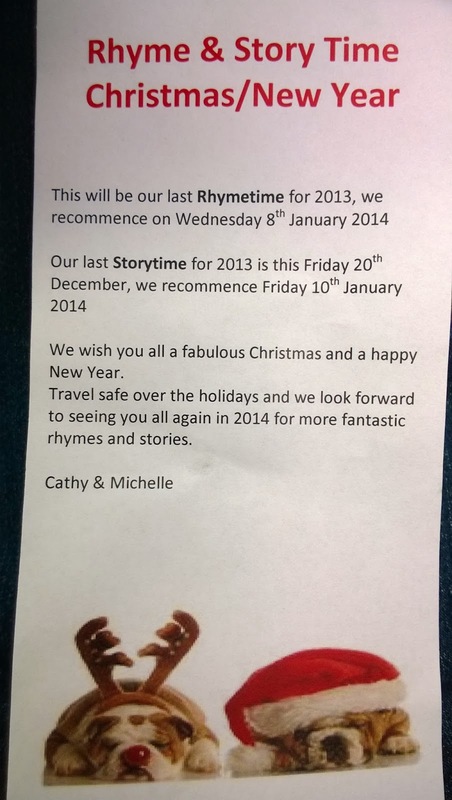 Well, I'm sure mummy and I will come back to Rhyme Time next year. 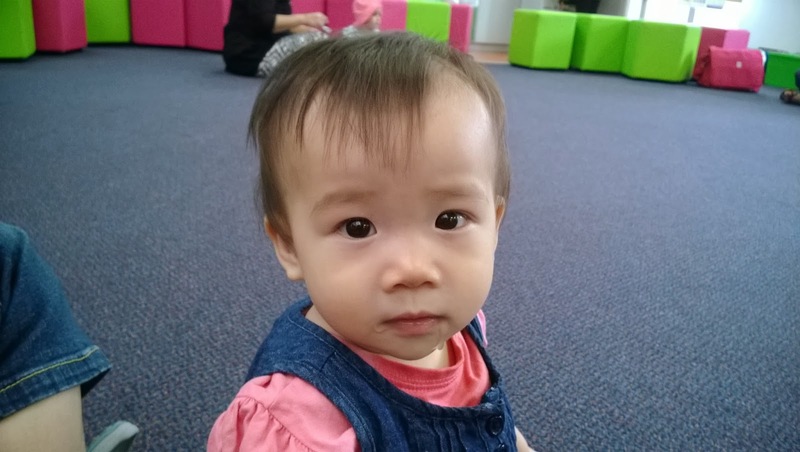 We went home after saying goodbyes to all my friends. 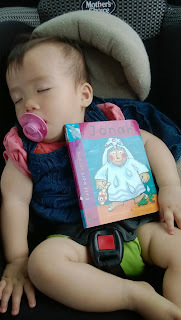 On our way home I was so exhausted that I slept like a log. In my dream, I gave my 'Mistle-toes' Christmas card to Jesus as we are celebrating His birthday soon. I love you Jesus.